I discovered in mid 2014 that I enjoy going to movies by myself. There was a movie I wanted to watch on a particular day and there was no one who was able to go with me… so I went by myself. Prior to 2014 I would only see 3 movies a year (if that) in the theater. I’ve never been a huge movie buff. Most movie pop culture references go over my head. Starting in late 2015 I decided to go to the movies once a week regardless of whether or not there was anything particular I wanted to see. I used it as a mini vacation. It forces me to turn off my connection to the world, my iPhone, and I can enjoy watching the stories that hundreds of people worked to produce. In 2016 I saw 46 movies in the theater. Some movies I’ve seen more than once. Most of these movies I saw by myself but there were many times I got to experience it with friends. Both experiences by myself and with other people were all great. Thanks everyone who went to the movies with me in 2016. This is a Coen brothers comedy. 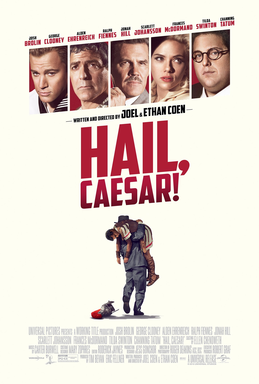 Josh Brolin plays a 1950s movie studio fixer. The story follows him around as he solves problems and babysits the actors. It has great performances by Josh Brolin, George Clooney, and Alden Ehrenreich (soon to be playing young Han Solo). It is a quirky laugh out loud movie. I loved it so much that I bought it. I rarely buy movies and, with some notable exceptions, I rarely rewatch movies. I have seen this movie a few times and I enjoyed it every time I watched it. If you haven’t seen it, rent it! 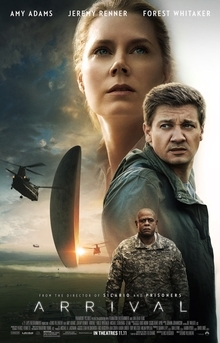 The initial premise of the movie is about a lady who is being held in a bomb shelter by a creepy guy who believes that the world has been taken over by aliens. This movie has so many twist and turns and the ending is something that I would have never predicted. 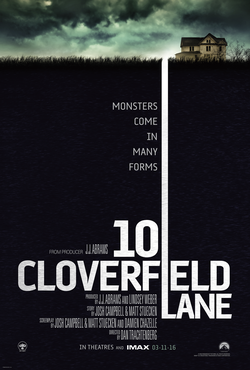 If you like suspenseful movies, see this. The problem with most super hero movies is that the story revolves around saving the world or saving a city (usually New York City). In the world of Marvel, I have no clue why anyone would want to live in New York City. Anyway… my favorite Marvel super hero is Captain America. Chris Evans does a great job at making the character feel real. You feel the struggle of a man who doesn’t belong in our time. Captain America was a super hero from the 1940s and was frozen because of some comic book hand-wavy accident and he was thawed out in our time. The stories in the Captain America movies always revolve around the relationships of the characters. 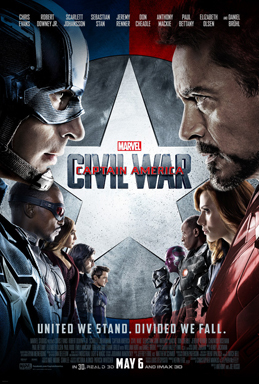 The real struggle in this story is about the in-fighting between Captain America and Iron Man. Lots of humor, drama, and touching emotional moments. Many times when I chose the movie of the week, it is a movie I was looking forward to seeing. If there isn’t any particular movie I was interested in I just choose one while I am waiting in line at the ticket booth. 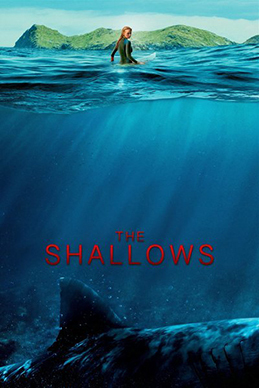 The Shallows was one of those random movies I watched. It is about a surfer who goes to a secluded beach by herself to feel connected to her mom who recently passed away. It was her mom’s favorite beach. The movie is about her being stalked by a shark. For most of this movie the character Nancy Adams, played by Blake Lively, is trying to outsmart the shark. I came into this movie with low expectations but was pleasantly surprised how well Blake Lively carries this movie by herself. I think this is more watchable than the most famous stark movie, JAWS. 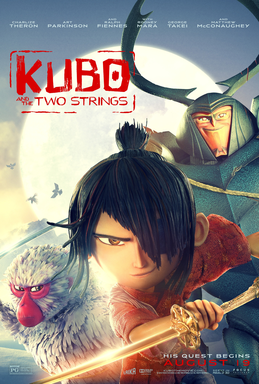 This is a beautiful animated heroes journey movie about a kid name Kubo who has magical powers and he must go on a quest after the death of his mother (his father died before he was born). He is joined by an anamorphic Monkey and an anamorphic human sized Beetle. He is being followed by his evil aunts who want to stop him. It is a very emotional story. I saw it twice and teared up each time. It is a Japanese inspired story and the animation style is beautiful. A must see. It is not appropriate for small children because of the dark themes. I’m a sucker for a good redemption story. This was adapted from a novel written in the late 1800s. This is the story of 2 brothers who both took wrong paths and it is about their redemption. 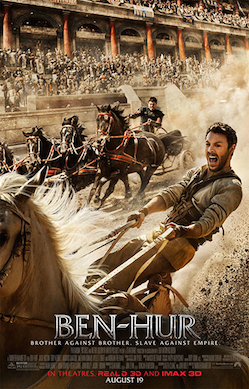 It takes place during the time of Christ and Jesus’s story runs in the background of this movie. This movie is far from perfect but I really connected with the characters and felt for them so to me that’s how this made it to my top 2016 list. 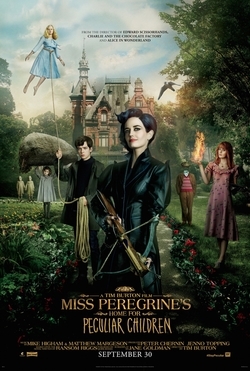 This movie was adapted from a book by Tim Burton. The story follows Jake, who after his grandfather’s death, wants to visit a children’s home that his grandpa grew up. He ends up finding another world removed from time where children with superpowers are protected from villains who want to steal their power. I don’t want to say anymore because this movie was such a fun journey. Going into it knowing very little made it more fun for me. I am going to say very little about this movie other than the fact that this is a suspenseful murder mystery. This movie does an awesome job at keeping you guessing as to what is really happening. And it has one of those twist endings you will never see coming… even if you are expecting a twist ending! I am a fan of the Marvel movies because I love how the stories connect with each other. 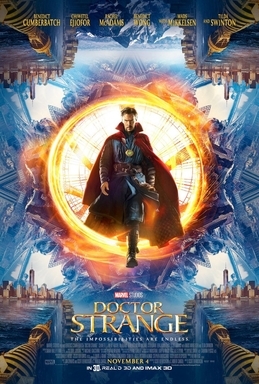 I’ve never been big on comic books so going into this movie I didn’t know anything about the character of Doctor Strange and his origin story. The movie follows a Doctor who was the best neurosurgeon and everything changed when he got into a car accident that damaged his hands which ruined his career. 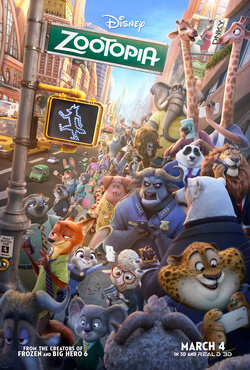 The 2 best things about the movie are the trippy 3D effects and the message “It’s not about you.”. Another movie that made me tear up. 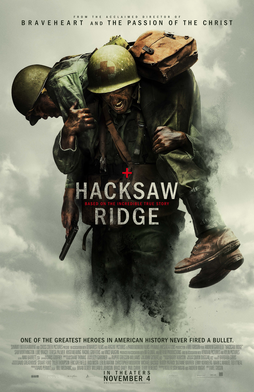 Hacksaw Ridge is the true World War II story about Desmond Doss who was a combat medic that refused to carry a gun. He went from being mocked by his fellow soldiers to becoming one of the greatest war heroes in American history by risking his life and saving over 75 soldiers. Some have told me that they didn’t want to see this movie because of how bloody it was… you are doing yourself a disservice by letting that stop you. This movie is not bloody to be bloody… it tells a beautiful story of how one man’s faith saved many lives. I am going to be the most vague about this movie but I will say 3 things that doesn’t give away anything that you don’t already know form the trailers: 1) I didn’t want to see this movie because I got burned by the Independence Day sequel (one of the worst movies I’ve ever seen) and it looked like another typical alien invasion movie… this movie puts ALL other mysterious aliens land on earth movies to shame; 2) Amy Adams is amazing in this movie. 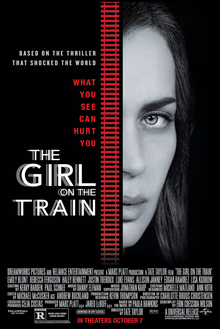 I have always enjoyed her movies but this is her best to date; 3) This story has such a twist ending that it takes the so-so parts of this movie and made them better. I want to see this again when it comes out on home video so I can see if this movie is better knowing how it ends. 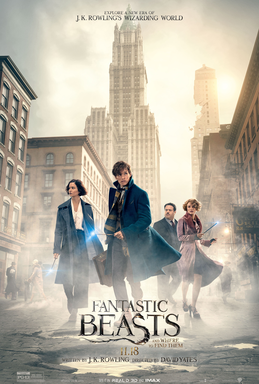 This is the first of the Harry Potter prequel movies featuring the character Newt Scamander and it takes place in 1920s New York City. I love movies that try to capture America in the early 20th century. It gives the movie a dream like quality. Eddie Redmayne plays Newt and he really becomes the character. I joked on Facebook that this movie is 1920s Pokemon. I mentioned that because Newt has a magical suitcase that stores magical beasts that he his trying to protect. Some of them get out and part of the story is about Newt trying to find the cute little creatures and put them back in his suit case. Maybe it’s because this movie is fresh in my mind but I believe I will like this series more than the Harry Potter movies. It is a lot less dark which is a bonus. The best description I’ve heard about this movie is that it is a movie about a teen but it isn’t a “teen movie”. 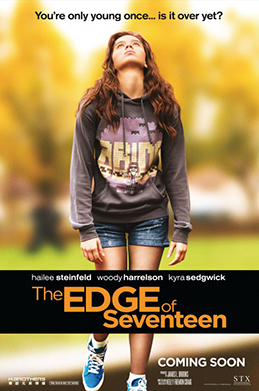 The movie follows 17-year old Nadine as she deals with her out of control emotions. It starts with her best friend getting together with her brother whom she doesn’t have a great relationship with. The movie is a comedy but it feels very real. I think I enjoyed it more because the character reminded me of so many of the high school kids I’ve known over the years. Woody Harrelson plays her high school teacher/mentor. After seeing him in this role I have developed so much more respect for him. I’ve loved Star Wars since I got my first Star Wars toys back in the 70s. Those original movies captured my attention and, if you ask any of my relatives or teachers who knew my back then, I was obsessed. The movie that will always be my favorite of the original trilogy is Star Wars: A New Hope from 1977. It has many flaws but because it was my first favorite movie, I will always honor it more than it probably deserves. When I heard that Rogue One was going to be a direct prequel to the original Star Wars movie I had very high expectations. This movie has met and exceeded everything that I hoped it would be. I’ve seen it 4 times in the theater already and I hope to see it at least one more time before it comes out on home video. 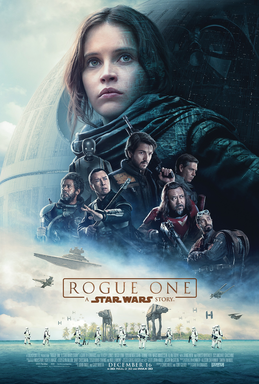 The movie feels like Star Wars but it is a very different style movie. It is also the perfect compliment to the original Star Wars film and it recontextualizes it and makes it a better movie. The story explains many of the plot holes that the original Star Wars movie had been made fun of for decades. When I saw the trailers for this movie I wanted to stay far away from this film. It appeared to be attempting to copy the style of 1960s musicals. It looked too sugary sweet. This movie, despite being a musical, has much more reality in it than most movies these days. It has some really sad moments but don’t go into it thinking that this movie is a downer because it isn’t at all. If I were to say anything more it would ruin this film for you. Anyway, I am glad I finally watched it because it is in my top 5 best movies of 2016. SEE IT. DISCLAIMER: A friend on Facebook made an excellent point that I need to add here. I have a few friends who live in Southern California that are aspiring actors. This will be very hard for you to watch because it deals with the struggles of getting a job in the entertainment industry. Great story and beautiful animation. This movie for me doesn’t have a lot of rewatchability so it didn’t make my top list. The best experience for this movie was in 3D. 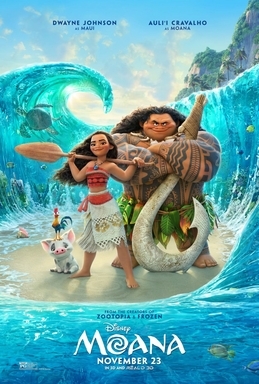 Disney does a great job with 3D animation and so when you can afford it, watch them in 3D. 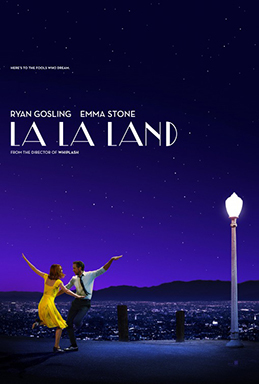 I love Shakira’s song in this movie, “Try Everything”. It gives me goosebumps every time I hear it. Another great Disney movie experience. Great characters, story, and beautiful animation. These movies are getting so pretty that it’s hard to go back and watch the older hand drawn Disney animated films. Trolls is a movie that I felt I shouldn’t have liked but their version of Cyndi Lauper’s “True Colors” had me in tears. I didn’t realize how much I connected with the characters until that number came up. A story that takes place during WWII where a Canadian intelligence officer has to determine if his wife (and mother of his child) is a German spy. I like period movies from the 1920s to the 1940s so I thought the movie looked beautiful. This is a very suspenseful movie that hit all the right emotional strings. 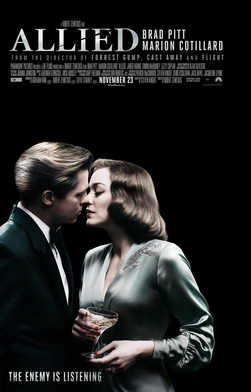 This movie has it’s faults but it is an interesting twist on the classic love story genre. 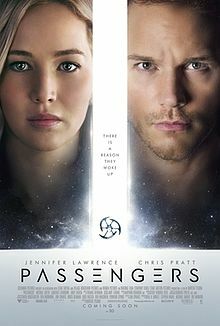 The premise, without giving too much away, is there is a malfunction on a space ship of 5,000 plus passengers. They are on a 120 plus year journey to colonize a planet far from earth. All of the passengers are in pods that keep them asleep and keep them from aging. Something happened 30 years into the journey that caused a couple of the pods to malfunction. This is the story of what those 2 people did to deal with the fact that they will die years before anyone will wake up if they can’t get their pods working again. This movie was hated by the critics and I can see some of their points but it is worth watching. Thank you for reading. Since I plan on continuing seeing a movie a week this year I will write a favorite movies of 2017 post next January. If you would like to comment on what you have read you can find me on twitter @JLBanker.